Projects will be funded by two CPRIT grants. Siva Vanapalli, an associate professor in the Department of Chemical Engineering, at Texas Tech University, recently received two grants from the Cancer Prevention and Research Institute of Texas (CPRIT) to study the movement of tumor cells throughout the body and new methods of detecting cancer cells. One of the grants was received under the highly competitive CPRIT's Individual Investigator Program for $674,465. Only about 10 percent of the projects that apply for this grant are funded. The other grant is a high-impact/high-risk grant for $199,993. “These grants are about developing new methods and tools to better understand cancer metastasis and detect tumor cells,” Vanapalli said. Metastasis is the process in which cells from a primary tumor break-off, enter the blood stream and create new tumors elsewhere in the body. The metastasis of tumor cells is what causes death in about 70 percent of cancer patients. The basic understanding of a tumor is that once the cells enter the body's highway system (blood flow), the cancer threat becomes increasingly dangerous. Previous research has led scientists to believe the most aggressive cells are soft and deformable so they can speed through the blood stream, squeezing through spaces of various sizes and shapes. The question is why. 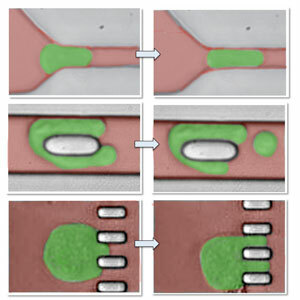 With the three-year grant, Vanapalli and his collaborators Boyd Butler in the Department of Biological Sciences and Everardo Cobos at the Texas Tech University Health Sciences Center, will build microfluidic devices that mimic blood flow to study how tumor cells move inside capillaries, how they squeeze through tight spaces, whether they are subject to fragmentation and how they become stuck. A better understanding of tumor cell behavior could lead to better drug testing. A better comprehension of how tumor cells behave under flow conditions comparable to a human body could lead to better drug testing. The second high-impact/high-risk grant received will be used to explore a new technology to rapidly detect cancerous cells inside a single blood sample. Currently, the standard test takes an antibody-based approach. Tumor cells express antigens, so that when the appropriate antibody is injected into the sample, tumor cells are lured out and separated from non-tumor cells. When counted and compared to subsequent samples, the process provides some indication as to how the disease is progressing. However, this approach has several challenges. The process must be done slowly over a period of several hours to prevent damage to the fragile cells. That also means that as one test is administered, samples from different patients require storage, which could compromise their integrity. 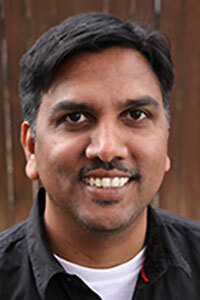 Vanapalli and his collaborators will study how tumor cells move through the bloodstream. Accuracy is also a concern, because tumor cells are not all alike and may not contain the same antibodies. 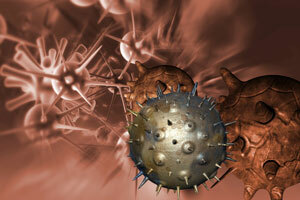 The antigen also may not react to the first antibody introduced, or even the second. The laboratory may require several samples for thorough testing; meanwhile there is an increased likelihood for false results. Vanapalli and his collaborators, including Wei Li, an assistant professor in the Department of Chemical Engineering, propose a new type of testing, one not based on antibodies and without markers, but holography. Through laser imaging at speeds up to 3,000 frames per second, a computer can capture images from all angles and reconstruct a model of all cells in the given sample, testing for all types of cancer in a matter of minutes. Vanapalli said this testing could not only detect cancer cells in blood, but it could also help a physician make rapid decisions regarding a patient's course of treatment.